The pictures on the Tarot Trumps tell a symbolic story. Like our dreams, they come to us from a level beyond the reach of consciousness and far removed from our intellectual understanding. 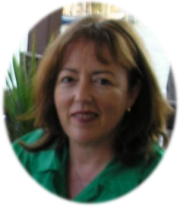 Evelynne Joffe offers private Tarot consultations, as well as Tarot classes in Melbourne. For details of fees for both consultations and classes, email Evelynne at evjoffe@gmail.com..
Nobody is quite sure what the origins of the tarot cards are, although there are many myths and ideas. We know that the earliest deck in existence dates back to the 15th Century and we also believe that modern playing cards stem from these designs. But what is truly amazing is the power that these archetypal images have over our psyche and as such are a potent tool for self knowledge and understanding. To learn the Tarot is to start a journey into our unconscious to plumb the depths of arcane knowledge and to train and develop our intuition. A beginner course of 12 weeks is offered and is run regularly throughout the year. It is practical and hands-on and focuses on the use of tarot for oneself and our personal life journey. 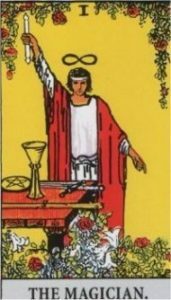 At the end of the 12 week course the student will have a good knowledge of the cards and be on their way to using them in readings for themselves and others. With further advanced study there will be an opportunity for each student to develop to professional level. The next beginner 12 week Tarot course starts in February 2019. If you are interested in joining the class, please email evjoffe@gmail.com . Regular advanced reading groups meet through the year. 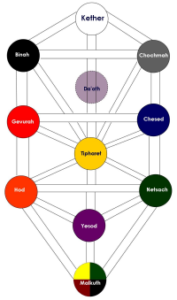 Purchase access to online recordings of classes Evelynne has recorded for Global Spiritual Studies on The Devil, The Hanged Man and Tarot on the Tree of Life. Watch the video clip below for a taste of how she interprets the Devil card. Click here for more information and to purchase recordings.